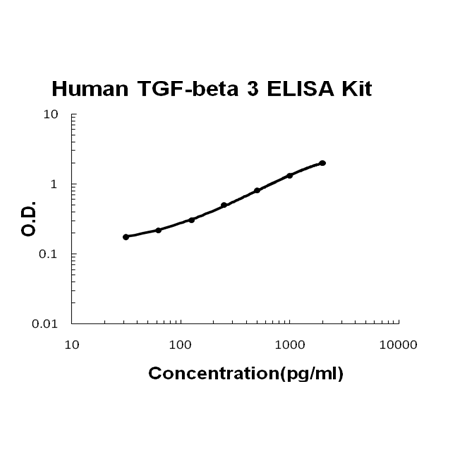 Sandwich High Sensitivity ELISA kit for Quantitative Detection of activated Human TGF-beta 3. 96wells/kit, with removable strips. 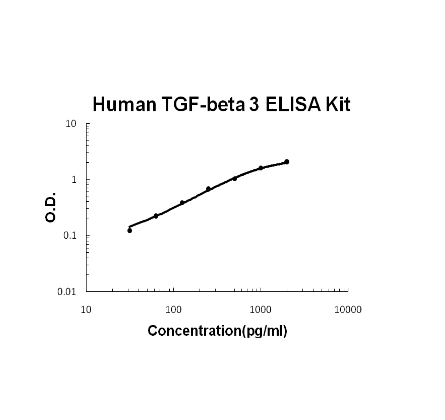 A: This kit recognizes mature TGF beta 3, and it needs to activate latent TGFb3 before detecting. Q: Can this kit react the mature form of TGFb3? I'd like to detect the mature form of TGFb3, not latent TGFb3. A: This kit recognizes mature TGF beta 3, and it needs to activate latent TGFb3 before detecting. Activation details can be found in datasheet.